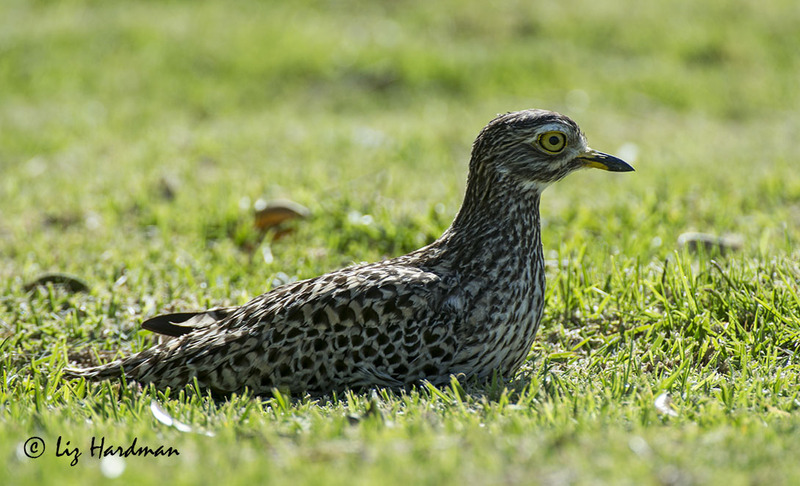 Generally these mottled birds like to blend in and settle for well camouflaged nesting areas, but here in broad-day light is a highly visible pair nesting smack in the middle of an open grassy patch bordering two houses. They have nested in the area before, but closer to the shelter of the scrubby vegetation, or just beyond the high-tide mark in a stony area on the beach. The incubation period is about twenty-four days and it will be interesting to see if they are successful in raising any chicks. Usually they lay up during the day and tend to be active at dusk and into the evening when their mournful song adds a haunting note to the background sounds of the night. What handsome birds, imagine making a nest right in the open, I hope they are okay. Gorgeous! 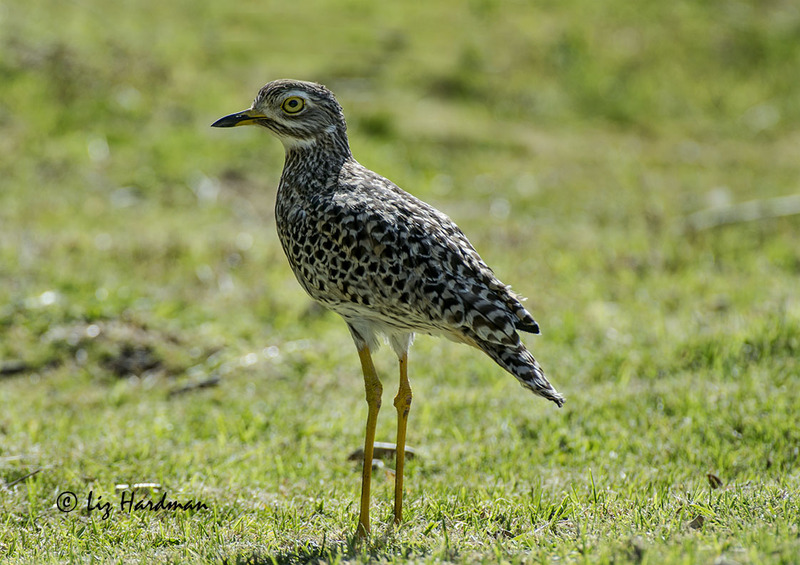 Thank you-I’d never seen a Spotted Thick-Knee before. Agree with Elena. I too knew nothing about this beautiful bird. Thanks for sharing with us, Liz. Thanks for your interest Uday 🙂 hoping i’ll be able to post it’s offspring?